With our Archaeologist for a Day program, visitors are able to join our on-going quest to uncover Lord Baltimore’s Colony of Avalon. This program gives the public an opportunity to work alongside our professional archaeological staff as they dig, sift, identify, and record the remains of a seventeenth-century English settlement. 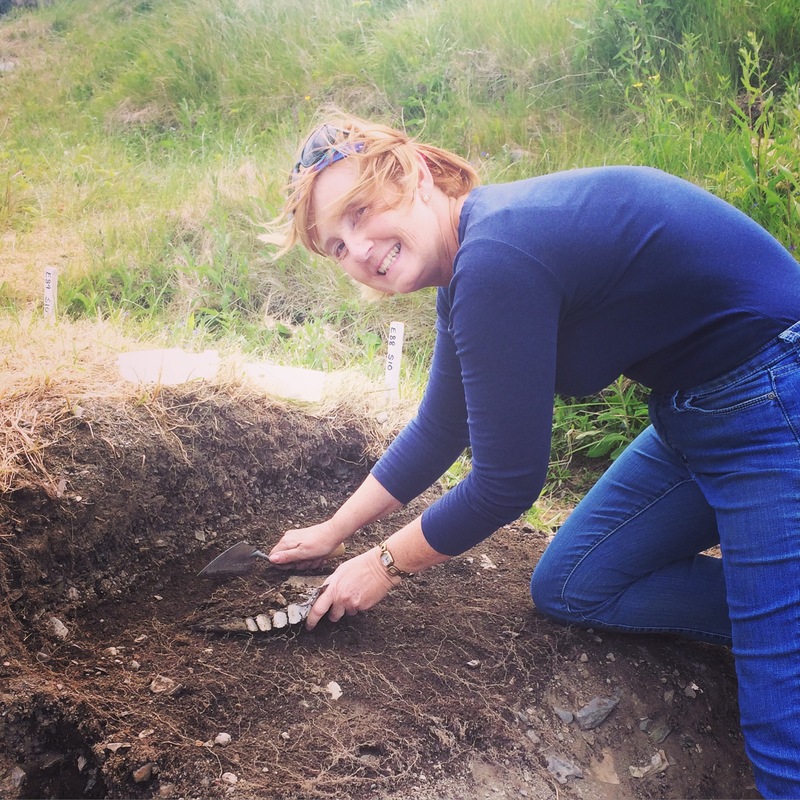 Liz Newton from Topsail, Newfoundland, participated in our Archaeologist for a Day program. 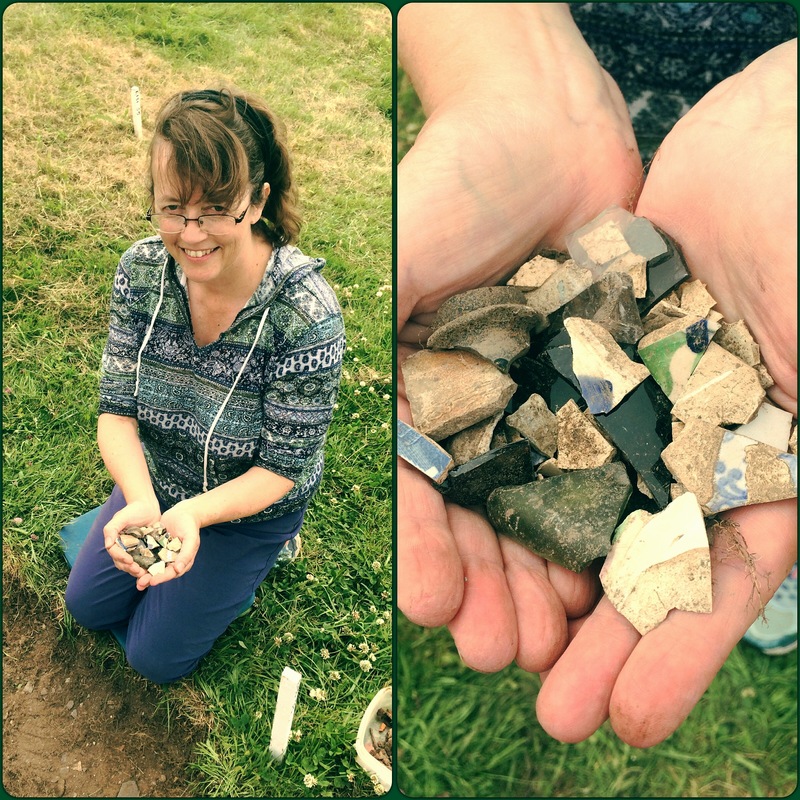 She found handfuls of ceramics, glass, tobacco pipes, and lots of iron nails (not pictured)! She had a blast! During our 2016 field season we had several participants for our Archaeologist for a Day program. They seemed to really enjoy the experience it gave them! First thing in the morning they joined the field crew out on the site to hear a brief orientation about the history of the Colony of Avalon, how the site is excavated, the tools they will be using, where they will be digging, and the types of artifacts that they may find. 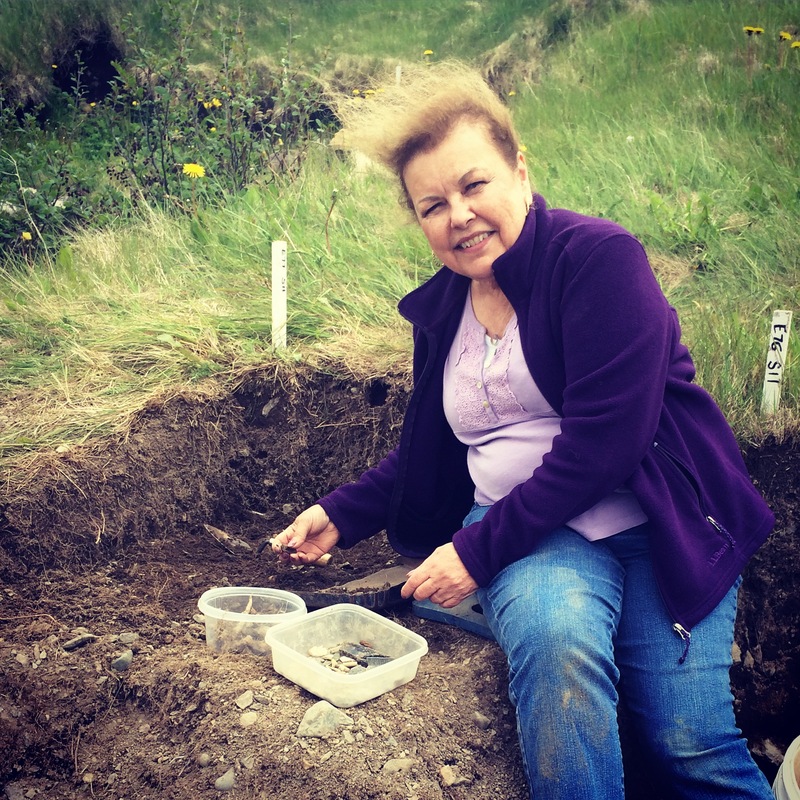 Archaeologist for a Day participant Sue Higham is from Toronto, Ontario. She helped us excavate an 18th-19th century midden! Participants work alongside experienced field crew for the remainder of the morning before documenting where they found their artifacts and taking them to the conservation lab to be processed. By spending the afternoon in the lab, participants will learn what happens to the artifacts after they are uncovered. They take part in washing, sorting, measuring, and cataloguing whatever artifacts they found that morning! 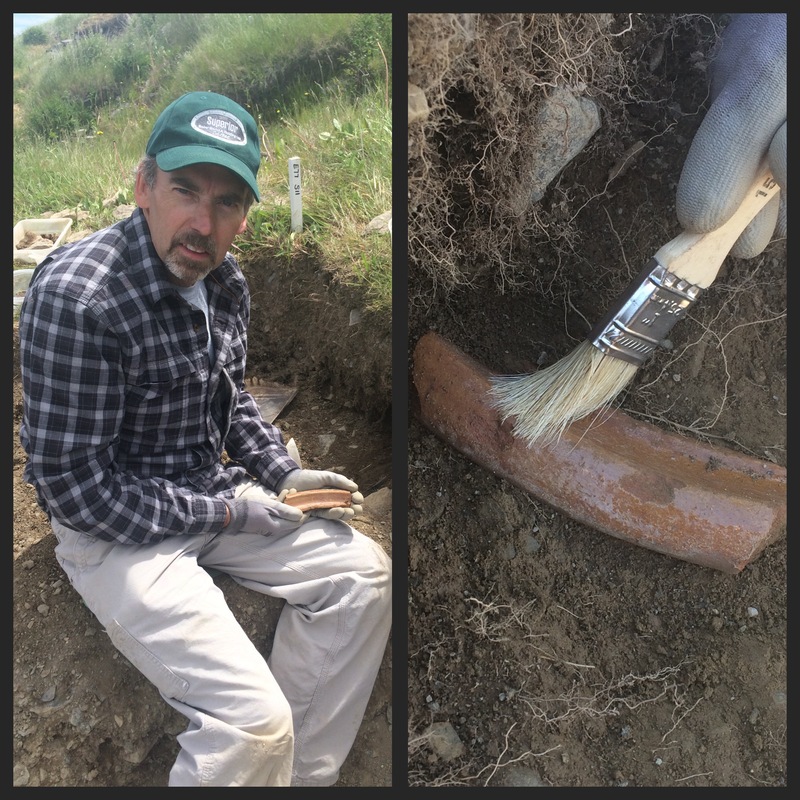 Terry Clarke from Hamilton, Ontario, was another Archaeologist for a Day during our 2016 field season. Among other artifacts, he uncovered this large rim fragment of a 17th century milk pan! We offer a few different options for people who are interested in our Archaeologist for a Day program. We have the Full Day Option – which consists of digging with archaeologists in the morning and processing your artifacts in our conservation lab in the afternoon. For the full day option we provide lunch and you are welcome to take a guided tour of the site from our experienced interpretive staff. Monica and Rafe Squires from St. John’s, Newfoundland participated in our full day option. We also have Dig and Dig In and Land & Sea options. The Dig and Dig In program consists of working alongside archaeologists in the morning and then heading the award-winning Lighthouse Picnics for lunch! For the Land & Sea option you would spend the morning digging with our archaeologists and head to the nearby community of Cape Broyle for a two-hour coastal kayaking adventure with Stan Cook Sea Kayak Adventures. Kathleen Murphy from North Carolina was our first participant in the Dig and Dig In program during the 2016 season. She had lunch at the Lighthouse Picnics and spent half the day as one of the field crew. What a perfect way to spend the day! 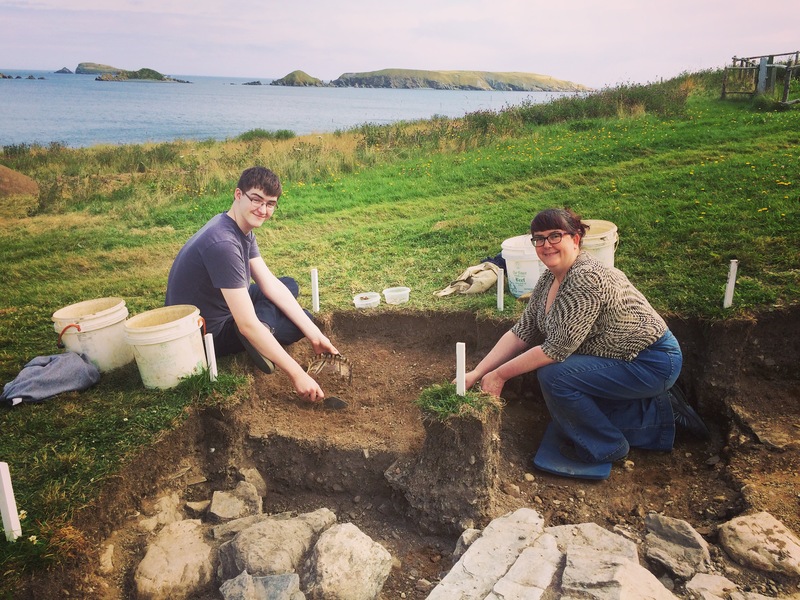 If you are interesting in participating in our Archaeologist for a Day, Dig and Dig In, or Land & Sea programs for the 2017 field season, please refer to CoA Archaeologist for a Day. If you have any further questions or would like more information please do not hesitate to contact us at info@colonyofavalon.ca or 709-432-3200. This would make a perfect gift for a friend or family member who always wanted to get hands on with history!